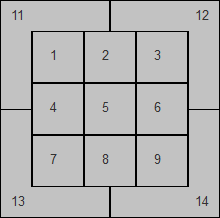 You’ll recognize that as the strike zone (1-9) and areas around the strike zone (11-14). What we have in Zone 5 is a zone that’s middle-middle — that is, that’s the heart. As a pitcher, that’s a good place to avoid. As a pitcher, you’re presumably incapable of avoiding it entirely. Now, in theory, there should never be a called ball on a pitch in Zone 5. You can kind of understand balls on pitches in the zone but near the edges. Umpires don’t have perfect vision. But, in theory, pitches taken in Zone 5 are unmistakable strikes. They’re pitches literally right down the middle. In practice, those pitches aren’t strikes 100% of the time, and I like to keep track of when things go awry in order to examine how it might have happened. Maybe that’s about as close to perfect as humans can get. And within this data set there are probably a few PITCHf/x errors that mistakenly suggest that the umpire screwed up. I’m not going to check them all on video. But, the numbers are either good or bad, depending on your mood. They’re almost 100%, which is great! They’re not 100%, even though they should be, which is not great! Last season, in the regular season and the playoffs combined, there were 29 called balls within Zone 5. And already we’ve had two called balls within Zone 5 in 2014. I’ve confirmed that in the video. That puts baseball on pace for more than 100 over the course of the summer, and while it’s silly to calculate an on-pace-for statistic based on two data points, I’m the guy who chronicles this stuff, so I have an obligation to chronicle. What was the deal with these two called balls? What might’ve gone wrong that allowed them to be called balls instead of strikes? Pretty unambiguous. Lee opened the bottom of the fifth with a fastball to Rios, who has one of the tallest strike zones in the league. The fastball crossed over the middle of the plate, even with the middle of Rios’ thighs. Not only was the pitch called a ball — neither broadcast even made anything of it. To one of them, it was an ordinary ball. To the other, they didn’t even refer to the pitch as a ball in the first place. The game had just come back from commercial, so there was some catching up to do, but anyway. Lee didn’t act annoyed on the mound. The game carried on as usual, and a few pitches later, Rios grounded out. At issue is that Lee missed his target, throwing the ball over the plate instead of in, on the edge. Seldom does Lee miss his target by more than a handful of inches. 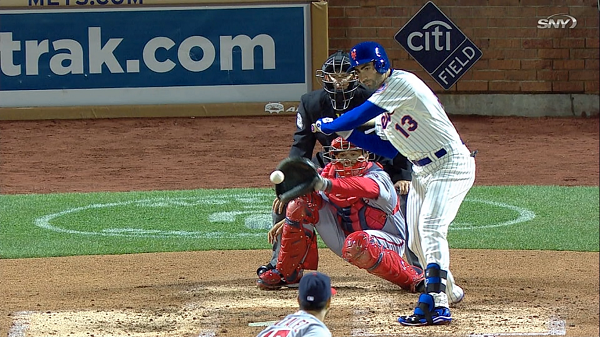 But I’m not prepared to put this on Lee completely, because Ruiz gave that pitch away. He shifted his entire upper body and dragged the ball out of the zone away with his catching arm. Lee reduced his own odds of getting a strike, but then Ruiz dropped those odds pretty much all the way to zero. At the end of the day, calls are up to the umpires, but if we grant that umpires are hopelessly vulnerable to influence from the catcher, you can see how this happened without thinking Joyce an idiot. It’s the usual story with these things — missed target, awful, lazy reception. Gonzalez was at 1-and-1 on Satin, with a runner in scoring position. He put a fastball right by Satin to get ahead, but he didn’t get ahead, despite having thrown the pitch right over the middle and below the belt. Gonzalez responded poorly and within a short while Lobaton went out to the mound to try to calm Gonzalez down. The Mets broadcast picked up on this immediately, asking what was wrong with the pitch and speculating about how players felt about Fagan’s strike zone. They went over the replays and agreed that the pitch should’ve been a strike, without question. Again, Gonzalez didn’t hit the spot right on. 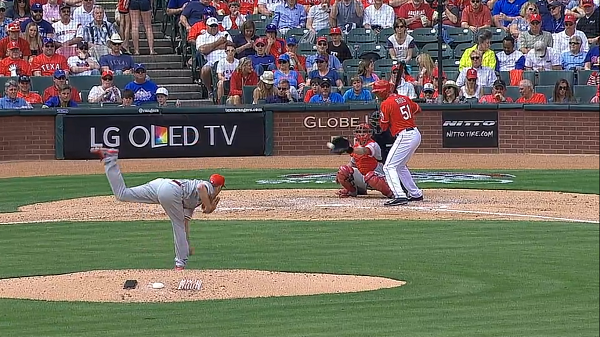 And Lobaton didn’t receive this pitch as poorly as Ruiz received the first pitch. But Lobaton does stab, here, with a straight arm, which might have suggested to Fagan that the pitch was more up than it was, or maybe more away than it was. Lobaton’s arm makes it look like more of a ball in the screenshot, if you just ignore the plate and the hitter and everything. This seems like more of an umpire mistake, but Lobaton wasn’t without fault. Gonzalez had a strike taken from him, and then he had a more valuable strike given to him. And so the inning was over, and the Mets didn’t score, and the Mets were sad, and that’s probably going to be a season theme. This was a better-looking receiving job by Lobaton, and it stands to reason he might’ve learned a thing or two playing alongside Jose Molina. It isn’t easy to frame a low fastball, but some guys are better at it than others. 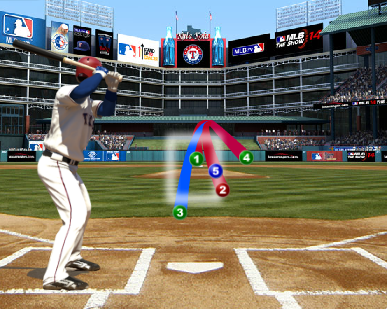 Right now we live in a world in which it’s possible for fastballs right down the middle to be taken for non-strikes. It happens infrequently, but it doesn’t happen infrequently enough to escape my attention, and this shouldn’t really happen ever at all. But you can either be mad about it, or you can be interested by it. Or, I suppose, both, but I personally find it more interesting than infuriating that the theoretically impossible isn’t impossible in reality. This is a part of the game that we watch. Expect to see a post much like this one many more times before the season is over. This sort of thing doesn’t deserve to go unacknowledged. We hoped you liked reading Balls Right Down the Middle, Already by Jeff Sullivan! Effectively Wild Episode 421: How Much Money Should Players Make? Nats fan here – Fagin had a notably low zone (as well as a pretty erratic one) all night. So the strikeout pitch GIFfed above wasn’t that surprising. Holy crap, you’re not kidding. What on earth? Apparently Fagin a rookie ump, could explain some of the bad zoniness. 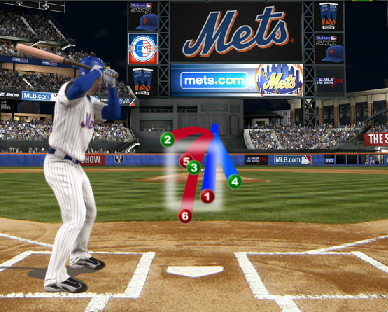 He was calling low pitches strikes, but several pitches that were up in the zone were not called strikes. That pitch by Gio was clearly the worst, but there were several other “high” pitches by both teams that sure looked like they were in the zone. 100% agree. I watched the game. For a long while the plate was extra wide. But then later in the game – maybe about the 7th or so – the plate became skinny. Russell Martin almost got the heave ho after one particular AB. I would say that it didn’t really work in one team’s favor or the other. But if you’re a batter or a pitcher it made it really hard to know what would and wouldn’t be a strike.